Publishers are not usually champions of narrative verse: it is not sufficient that writers of poetic narratives have literary history on their side. None would deny the pre-eminence of literary antecedent: the verse narratives that arose in each period — be it antiquity, the Middle Ages through to the Renaissance, the Victorian era, or modern times — are exemplars essential to the canon and remain in readership. 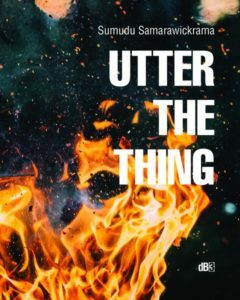 Small presses as a rule, are more willing to include contemporary verse narratives among their titles. 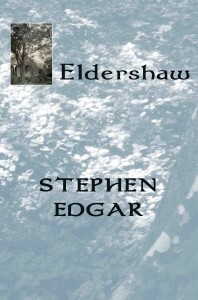 Any style of narrative poetry may seek a place, but in a discerning literary market, a collection of the calibre of Stephen Edgar’s Eldershaw, by virtue of its formal accomplishment, asserts that prerogative, and is vouchsafed a welcome reception. Edgar is conversant with the narrative poems valorised in western literature long before prose novels became an institutionalised genre. The technical elements of poetry accumulated over centuries are at his disposal, and he employs them with grace and ease. The process by which a poetic narrative emerges, unique, from each poet’s individualised treatment of elements and themes always inspires a sense of awe, and Edgar’s poems are distinctive; resolute in the contemporaneity of their storytelling, and full of references to the natural world, a feature for which his poetry is widely regarded. Eldershaw comprises three long interlinked narrative poems spanning seventy-three pages in Part I, and a further sixteen single page lyric poems in Part II which in some measure link to the larger narrative. Part I has three sections: the first shares the volume’s title ‘Eldershaw’ and comprises nine segments set in the years 1941-1965; these have a non linear order that begins with 1955 and ends with 1961. The events in this story pertain to vicissitudes in the lives of twelve discernible characters, but focus in particular on the high and low moments of the central character Helen, who, twelve years after meeting Martin in London, finds herself unhappily married, with two daughters. Martin is attracted to men, and Helen’s affair with Lex over a period of years attracts detriment in Martin’s lawsuit; she loses both house and custody. In the later years, from 1961-65, after Lex has an affair with Vera, Helen lives alone in a Sydney flat, and the events of this period include a trip to Greece. The second section of the verse narrative has a further seventeen pages in seven subsections with titles such as ‘April 1945. Evan. Fire’ and ‘November 2000. Isabel. Water.’ This cycle of poems, thematically framed by the title, The Fifth Element, conjures space, heaven, void, aether, quintessence- words used to describe ‘heavenly’ phenomena like stars or other supposedly unknowable, unchangeable, or incorruptible entities. ‘Character is destiny’- Edgar cites George Eliot citing Novalis, in the preface to the book, and we are drawn to what is vital about life, about energy, that is manifest in the fabric of these characters’ lives. Indeed the book makes much of material remains. In references to a Minoan comb, a crushed fossil, the detritus of millenia, Edgar’s narrative poems connect present to past. Edgar’s study of Classics finds synthesis in a host of classical allusions such as ‘Some drowned god drags your foot off Sounion’ (107) that imbue line, stanza, and narrative with mythical and allegorical constructions of place – the magnificent Cape Sounion of now with its temple dedicated to Poseidon, and the cliffs from whence Aegus leapt to his death, a narrative event in Homer’s Odyssey. ‘A Hansel and Gretel pathway’ (7) — an intertextual, thematic construction of place — leads to the site of Helen’s historic family home, Eldershaw; a distinctively Australian bush setting with its ‘embassy of possums’ (8). In ‘Lost World’ (108) Edgar maps loss onto place as he describes, without sentimentality, fire’s devastation of a home that could be Eldershaw: the roar of bushfire ‘dragged by the vacuum it creates,/ Swarms up the slope into the sky’s/Exhausted limit, where a cottage waits./ …Trees thrash and, one by one, volatize./Paint bubbles from the walls. The rooms explode./ Fragments of melted window strafe/The lawn like wept and frozen tears’ (108). In an age inclined to posit verse narratives as anachronistic, to produce a work such as Eldershaw takes resolve. Only painstaking refinement enables contemporaneous words such as ‘tweezers’, ‘bureaucratic business’, ‘garage’, ‘home-made Florentines’, ‘truck’, ‘curtain’ and ‘landlady’ to perch comfortably at the ends of metrical lines- a good many of which contain the requisite number of syllables and feet for iambic pentameter, while occasional lines accommodate a triple foot with an extra syllable at the end. The rhythmic momentum of blank verse brings buoyancy to unfolding events in the verse narrative, and complements Edgar’s accomplished application of metre. Reading verse narratives can take resolve too, if one prefers prose, but narrative verse in English is not inherently harder to read than narrative prose. One challenge with Eldershaw may be to keep track of the inter-generational characters across the entirety of the narrative. Faced with its non-linear discourse some readers may reconstitute the chronological sequence, while others will enjoy the free association and fusion of time-planes in memory, and the corresponding emphasis on existential and psychological concerns. An earlier and shorter version of Eldershaw attracted funding assistance from the Literature Board of the Australia Council and was published in HEAT 13 under the title ‘The Deppites’. Stephen Edgar has been awarded the 2013 Inaugural Australian Catholic University Literature Prize for his poem ‘The Dancer’. This adds to several other significant poetry prizes in Edgar’s credit, including the 2003 Grace Levin Poetry Prize, the 2006 Philip Hodgkins Memorial Medal for Literature, and the 2011 Dorothy Porter Poetry Prize. ‘What compels writers to produce a verse narrative?’ Edgar once mused. Now he has contributed to the longest tradition in literature in English. Eldershaw, constructed with great complexity, economy, and clarity, serves to demonstrate the staying power of verse narratives, despite contemporary preferences. LINDA WESTE is a poet, editor and teacher of Creative Writing whose research examines poetic and narrative interplay.